SynPower Xtreme XL-III C3 SAE 5W-30 is specially formulated for Volkswagen Euro IV and V engines with DPF (Diesel Particle Filter) technology. The product replaces virtually all VW specifications and is suitable for engines with WIV system, for extra long-drain intervals up to 30.000 Km or 2 years servicing. SynPower Xtreme XL-III C3 motor oil SAE 5W-30 is a premium Long Life III synthetic motor oil for Volkswagen Euro IV and V engines with DPF technology (Diesel Particle Filter). The product replaces virtually all VW specifications and is suitable for engines with WIV system, for extra long drain intervals up to 30.000 Km. or 2 years. SynPower Xtreme XL-III C3 SAE 5W-30 can be used in modern VW, AUDI, Seat and Skoda gasoline and diesel engines and provides ultimate protection even under extreme circumstances. Valvoline SynPower Xtreme XL-III C3 SAE 5W-30 is also approved by Mercedes-Benz on page 229.51 (includes 229.31). Through use of synthetic base oil technology SynPower Xtreme XL-III C3 motor oil fights the three major causes of engine stress – heat, deposits and wear. Extended drain performance Suitable for long drain intervals according to the BMW, MB, and VW specifications. Environment Suitable for EURO V engines with Diesel Particle Filters. enhances fuel efficiency vs reference oil. Protection Enhances the lifetime of the engine and the Diesel Particle Filter. Less oil qualities, less containers, less mistakes. Can reduce the number of necessary oils. Take used oil to an authorized collection point. Do not discharge into drains, soil or water. Typical property characteristics are based on current production. 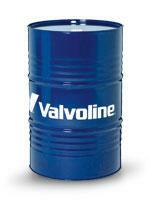 Whilst future production will conform to Valvoline™ specifications, variations in these characteristics may occur. Viscosity, mm2/s @ 100 ºC. Viscosity, mm2/s @ 40 ºC. Serving more than 100 countries around the globe, Valvoline is a leading marketer, distributor and producer of quality branded automotive and industrial products and services. Products include automotive lubricants including MaxLife™, the first motor oil specifically formulated for higher-mileage vehicles; transmission fluids; gear oils; hydraulic lubricants; automotive chemicals; specialty products; greases, and cooling system products.